These patches are only needed for retail versions; the GOG.com and Steam versions are already patched. Fixes several issues and improves some areas of the game. Digital versions of the game already include this patch. The first patch has to be installed beforehand, following the second patch. Fixes multiple issues with the game. Fixes even more issues with the game. Launcher and setup utility for unofficial patches. 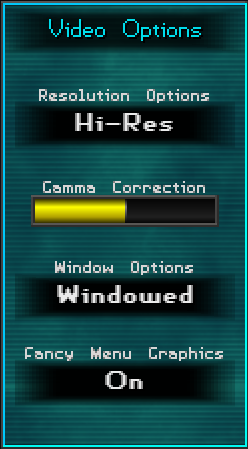 Option called "camera distance" available in the in-game options. Frame rate is capped at 125 FPS. Arrow keys can be used for movement without needing to be bound. Many commands cannot be rebound. Ambient, interface, cinematic and music. 3D sound is unsupported on modern systems. As the in-game implementation is quite buggy and causes crashes even on systems with 3D sound support, the feature has been removed from the GOG and Steam versions. Install the nGlide wrapper. Many users report this as an inferior solution to updated native drivers or DirectX, but if for whatever reason OpenGL doesn't work, this is an option. 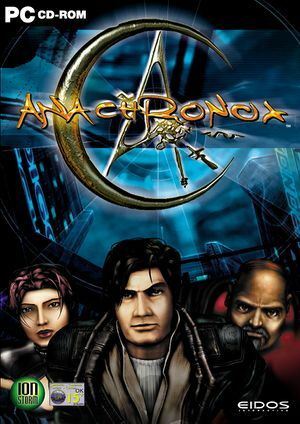 Enter the Anachronox folder. Create the folder if it doesn't exist. If 200 doesn't work, try a higher value or lower down to 59. Copy opengl32.dll and paste into the Anachronox installation folder. 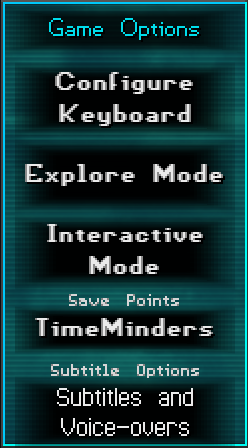 Click on QindieGL-setup.reg and add to the registry. 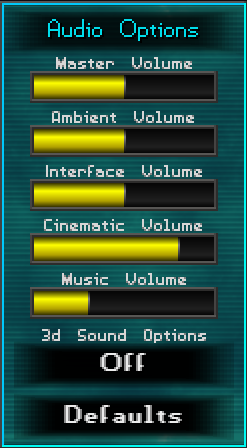 Under 3D Sound Options, choose "Off" from the pull down menu. WickedGL Added in the build 44 patch. ↑ 3.0 3.1 File/folder structure within this directory reflects the path(s) listed for Windows and/or Steam game data (use Wine regedit to access Windows registry paths). Games with Steam Cloud support may store data in ~/.steam/steam/userdata/<user-id>/242940/ in addition to or instead of this directory. The app ID (242940) may differ in some cases. Treat backslashes as forward slashes. See the glossary page for details.